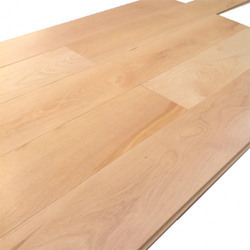 We offers Maple Wooden Flooring. It is the close collaboration with industry professionals which enables Junckers to maintain its position as Europe's leading supplier of solid hardwood floors. All solid hardwood can be sanded and refinished if needed over the years. Backed by rich industry experience, we are engaged in providing a premium quality range of Maple Wooden Flooring. Lenox Interiors is prominant in offering Maple Wooden Flooring. Our experts use high grade material for manufacturing these floors. Our range is designed in accordance with latest market trends. Maple Wooden Flooring is have beautiful design, eye catching view and charming color. 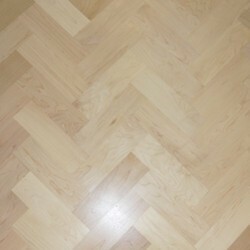 MFMA, WSF, BWF , FIBA, EN/ DIN APPROVED MAPLE WOOD FLOOR.